Video of Mavic 2 PRO v Phantom 4 PRO (4K) Do I still need a Phantom 4 PRO? Smith runs both drones through their paces, capturing both videos and stills of similar scenes on each camera. He then gives us nice side-by-side comparisons (in 4K, no less) of the files both in their raw, unprocessed form, as well as color-graded, processed images and video. The differences are distinct and Smith points out the strengths and weaknesses of both. To me, there was no question the Mavic 2 Pro images and video were superior to the Phantom 4 Pro. The colors were more vibrant and the dynamic range was better. 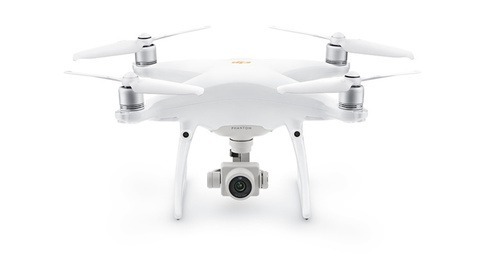 While there are some advantages to the Phantom 4 Pro from a flight perspective, in terms of making the best images or video, the Mavic 2 Pro appears to hold the edge. 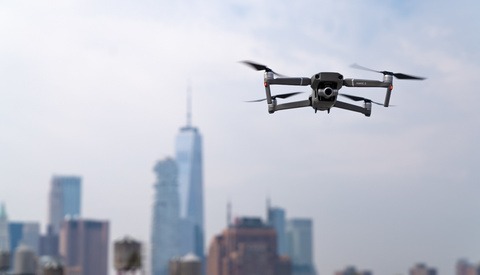 Given its portability and camera, the verdict seems to be that, yes, the Mavic 2 Pro is a viable replacement for the Phantom 4 Pro. What do you think? Would you sell your Phantom 4 Pro to pick up a Mavic 2 Pro? Drop a comment and let us know which drone is going into your bag. Just made this exact switch 3 weeks ago when I picked up a Mavic 2 Pro to replace my P4P, and I couldn't be happier. My biggest worry was that I was sacrificing image quality for portability, but I've found I've actually gained in both areas. One of the biggest things I noticed was the improvement when shooting at a higher ISO on the M2P vs P4P. I was hesitant to shoot higher than ISO 400 on the P4P but on the M2P it's not an issue. The M2P is also quite a bit quieter in my opinion, and signal loss (or the lack of) is noticeably better I've found as well. If you're on the fence about switching, don't be. I haven't looked back since getting rid of my P4P. I'm still on a Phantom 3 4K, which I love, but I don't use it nearly as often as I'd like, mostly because of portability issues. If I upgrade in the coming year, it will be to the Mavic 2 Pro. How high are you able to push the ISO? Also, how well does it perform in the wind? My Phantom 3 can handle about 10 mph, but truthfully, I don't fly it if it's greater than 7 mph. It becomes pretty unmanageable if the wind is much higher than that. Yep, even though I lugged around the P4P in a Manfrotto D1 bag (awesome bag btw) and didn't mind it, I appreciate the portability of the M2P that much more. I haven't done much of a test yet to see how far I can get away with regarding ISO on the M2P but I'm on a shoot as I type this, and I've been editing drone photos at 400 and 800 with very little to complain about, in comparison to the P4P. Is it the same quality as a photo from my 5DIV? Not yet.. but damn it's getting better. It's been quite stable in the winds I've flown it in thus far. We were just in Syracuse yesterday shooting in some decent winds and it was flying with Active Track as steady as a rock. We're in Wyoming now and shooting tomorrow in what I'm guessing will be a fairly windy area so we'll see what happens there, but aside from the steadiness of the unit (again better than the P4P IMO) I've also been enjoying the decrease in how loud it is while flying. It's not silent by any means, but it's not as noticeable flying at lower altitudes as the P4P was either. Given that I've been appreciating the differences between it and a P4P I think you'll absolutely appreciate the difference between it and a P3. I bought a LowePro DroneGuard BP 250 bag for the M2P as well, and have been loving the size of the bag and how much it can hold. It's a small comfortable size pack that can still hold a good amount and fits really easily into an overhead bin. I wish the sternum / waist straps were beefier, but that's probably my only complaint about the bag thus far. They've done a good job thinking through how people who want to travel with that bag will be using it. Really insightful stuff, Chip, thanks! It’s much appreciated. To you perhaps but not to an increasing number of people. There are numerous areas where both video and still are worse w/ the M2P. Perhaps the two worst are 4K video in the M2P exhibits line skipping and stills exhibit significant grain in shadows when recovered and so effectively less dynamic range than the P4P. Going off the video, the M2P looked better. I haven't tested it myself, so I can't speak from firsthand knowledge.